The role of a senior administrative assistant is to direct, train and supervise the junior assistants in the office. They handle the complex issues and they are the one to whom the entry level assistants go for whenever they need some guidance with their duties. 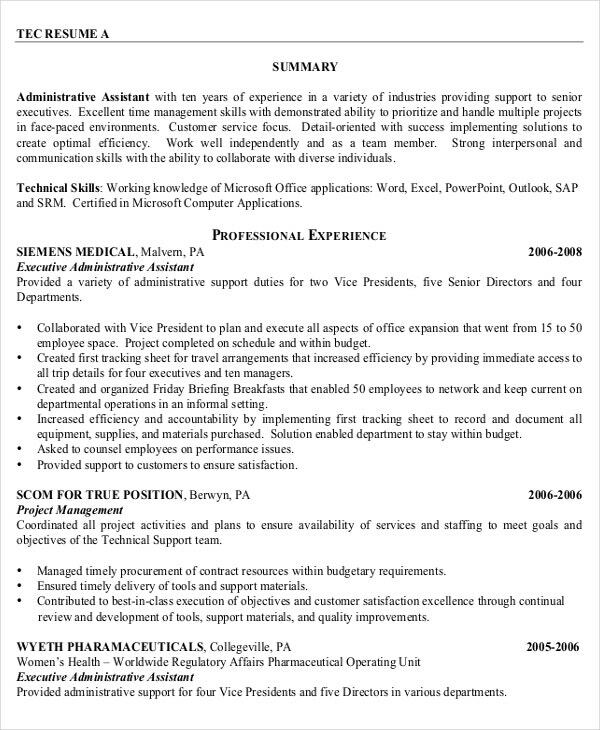 Are you an experienced administrative assistant planning to shift to another office? Well, you have your years of great experience to support but you also need to come up with a smart resume that will present your great abilities and experience in the most impressive manner to the hiring manager. 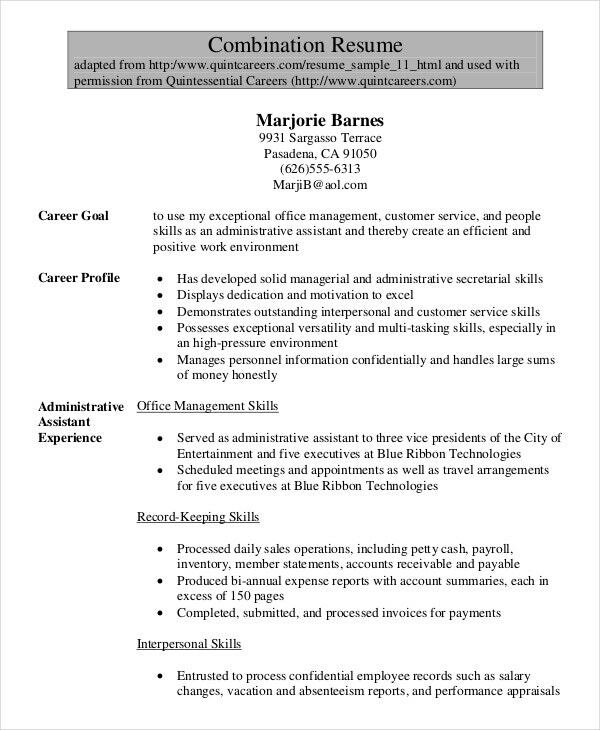 You may also see Entry Level Administrative Assistant Resume Templates. The competition is really cut-throat today and only the best of resumes will survive.Now, the question comes how to compose a striking resume? 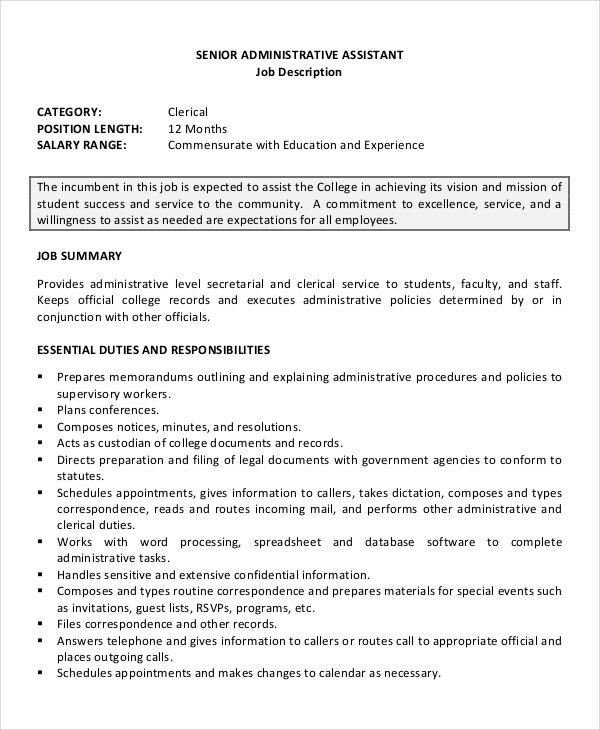 Well, if you are in need of some expert nudge here, the good news is that there are the Administrative Assistant Resume Template to take to. They are always handy with their standard readymade resume format. You will find various senior administrative assistant resume templates for specific professions or industries. 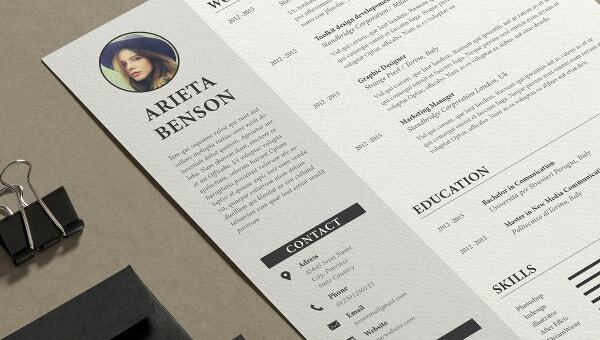 A senior administrative assistant chronological resume template will arrange your wide range of professional experiences as well as educational qualification in a chronological format. 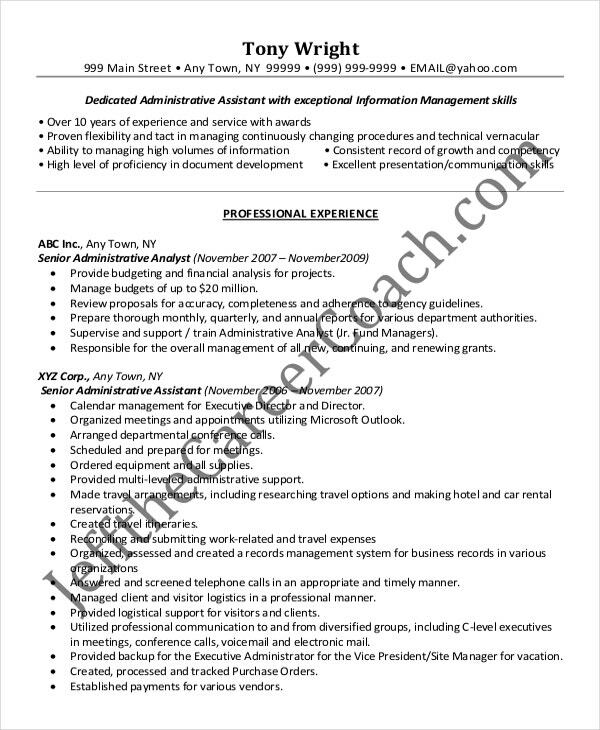 A senior administrative assistant combination resume template will primarily highlight your abilities and skills pertinent to the job and also would state your past professional experiences as an assistant in chronological manner. A senior administrative assistant oversees the entire executive department and makes sure that the entry-level or junior assistants are proper in their work. They have the job to conduct market research to support executives with statistical reports on the market, train the junior assistants, handle complicated customer problems and so on. Resume writing is an art and any mis-step here could mean a “no” for you no matter how experienced and talented you are. 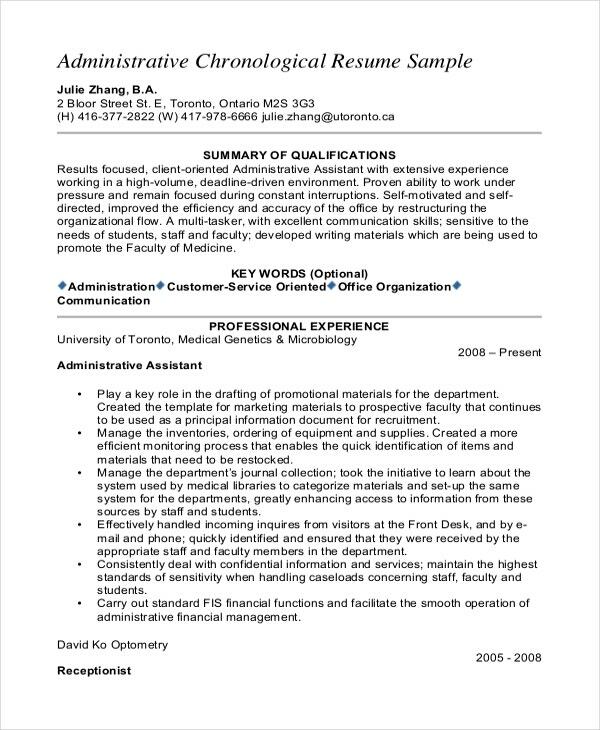 Thus, don’t take risks with your career and go for a premium senior administrative assistant resume template that would help you with a proper standard resume format. This way, you can be sure that your abilities, experience and qualifications are presented in the best light to the hiring manager. Moreover, as they are pre-structured, these templates are great time savers any day. 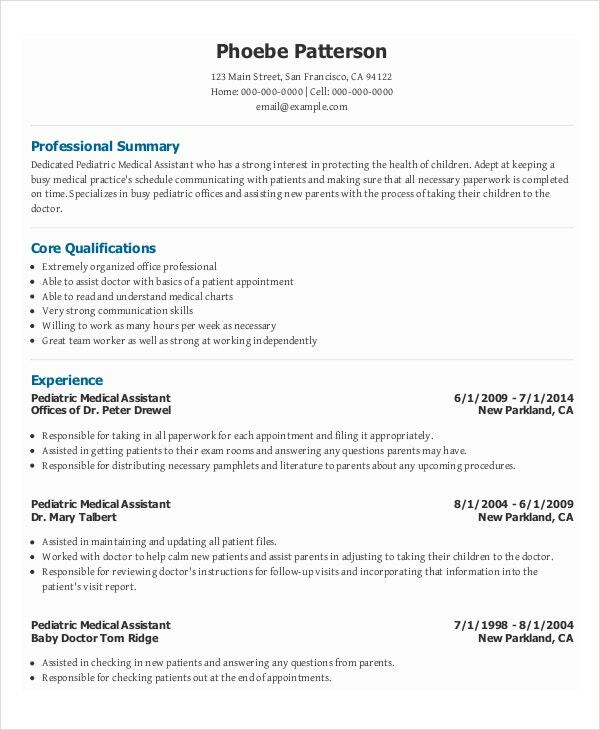 You can refer Resume Cover Sheet Templates. 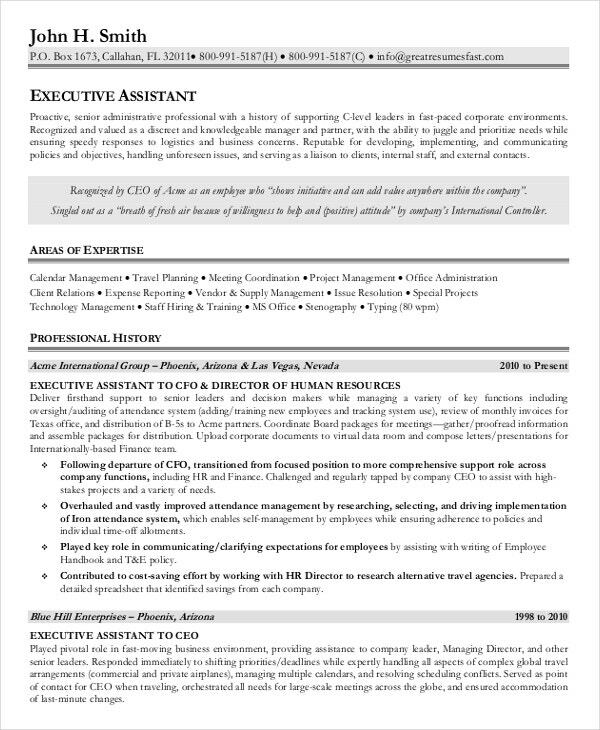 If you are confident about excellent administrative assistance abilities and solid experience but have not worked for too many offices, a combination resume would be handy. 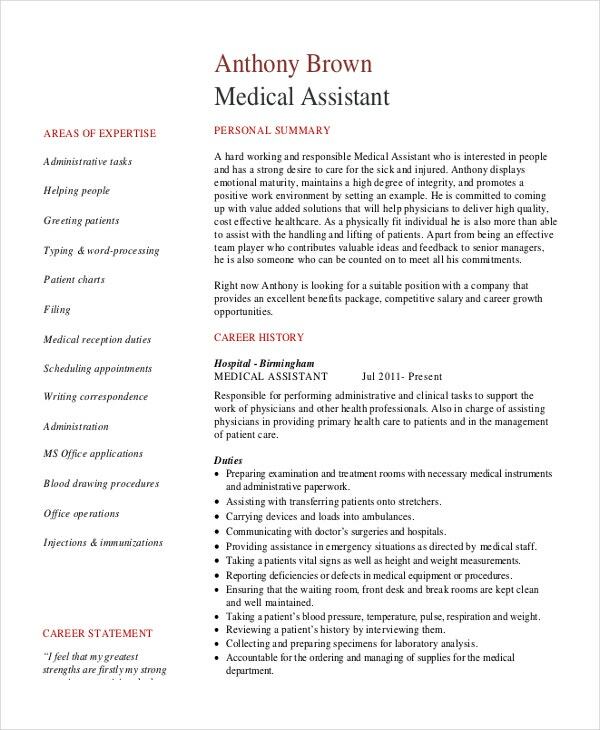 If you are in quest of best senior administrative assistant resume templates online, template.net will be the portal for you with its great assortment of professional resume templates for your job.